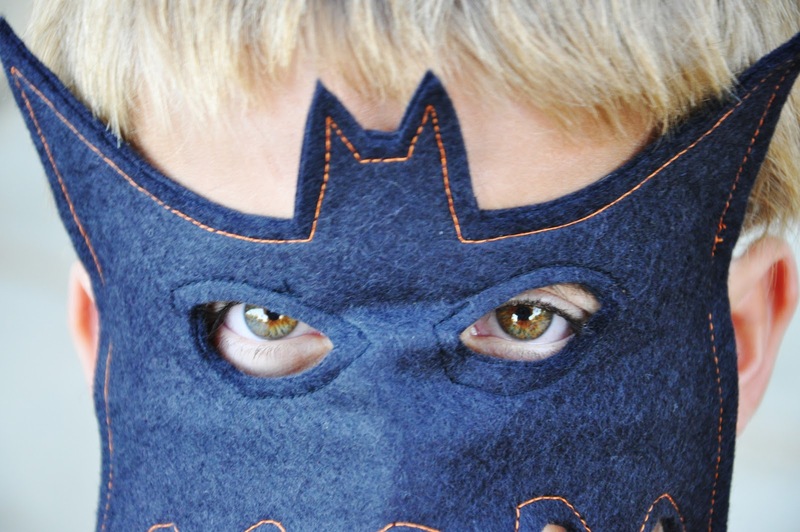 Learn how to make a bat face mask with this great “how to” tutorial from Living With Punks! 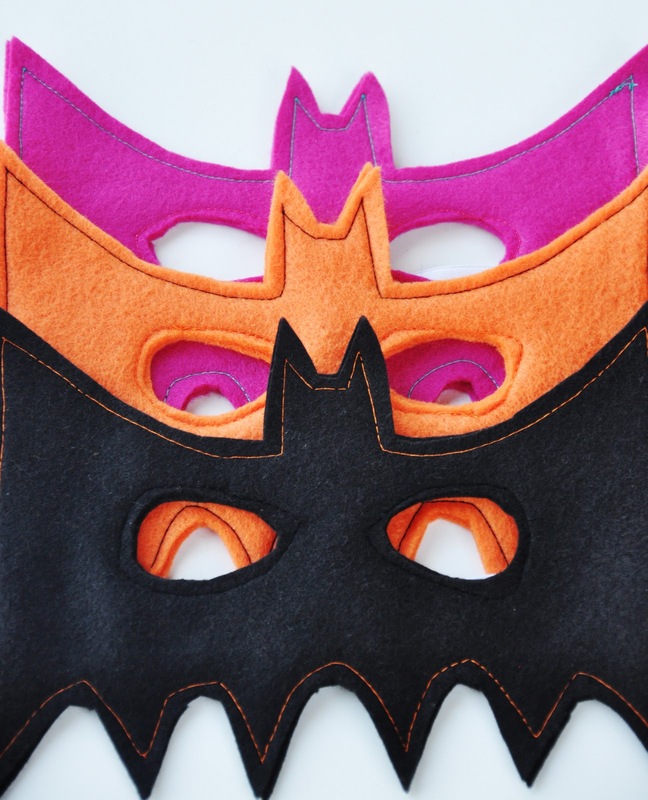 This is perfect for Halloween costumes, dress up and play dates! 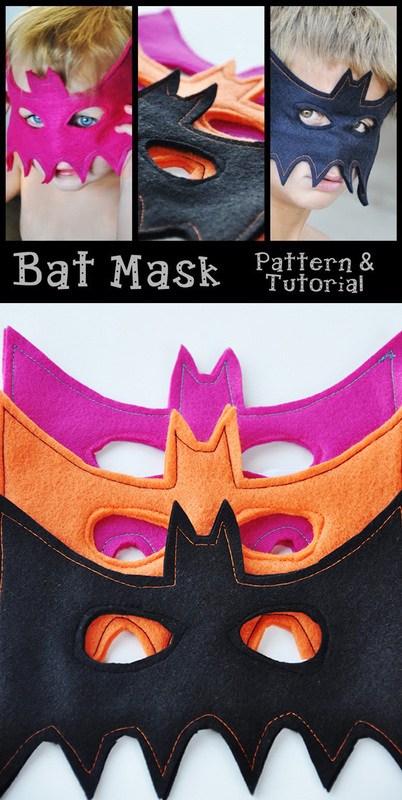 This bat mask tutorial is easy enough for a beginner! 3. Take your contrasting thread and begin stitching 1/8″ away from the raw edge. 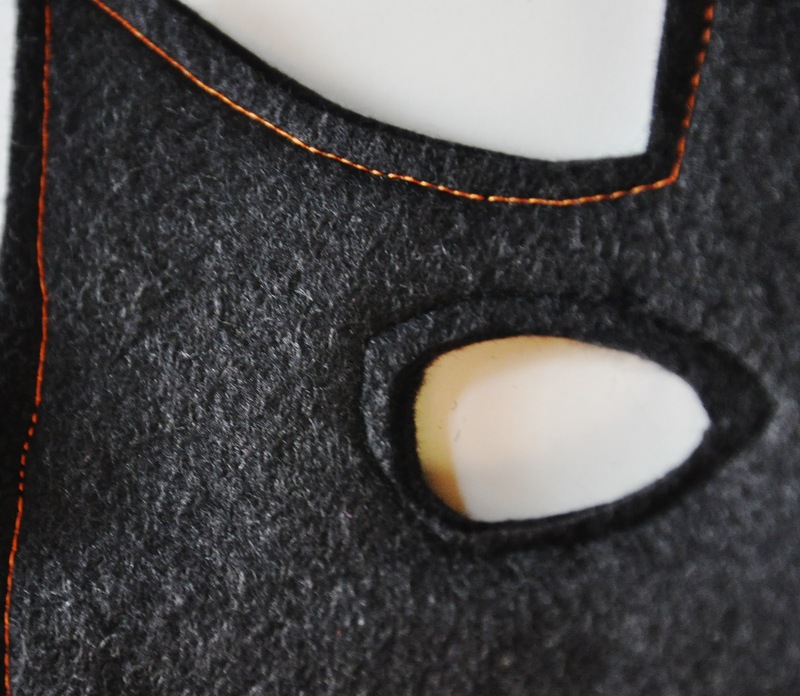 Stitch all the way around, being careful as you go around the points and curves. 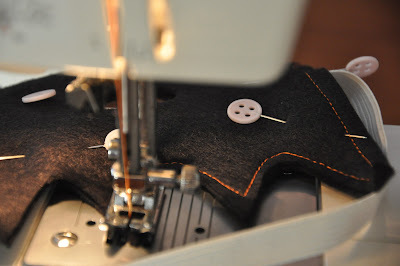 I found it useful to hand turn the needle around the tighter places. 4. Use your coordinating thread to stitch around the eyes. 5. Put on your little punk and watch him fly through the air! 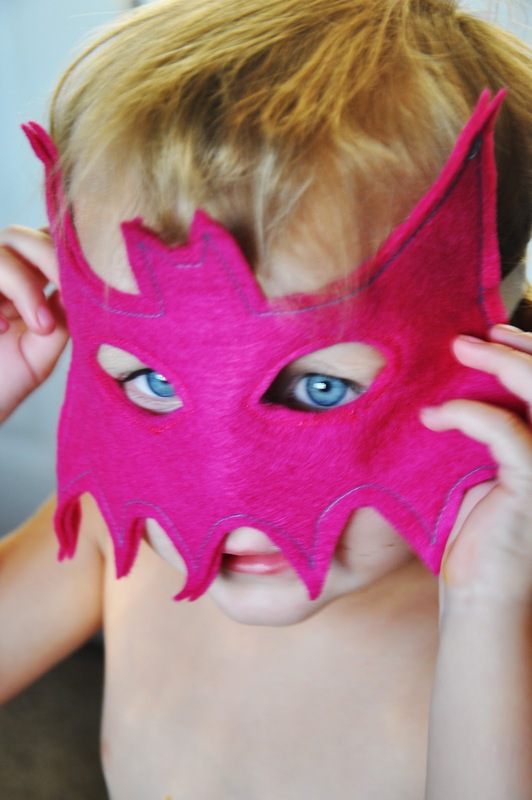 You can always make a pink princess bat mask for that little girly too, if you have one….we all know they have that bat squeal down! 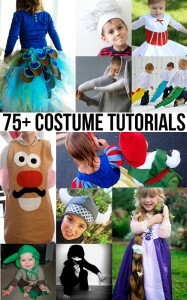 Check out the other Handmade Dress Up tutorials! 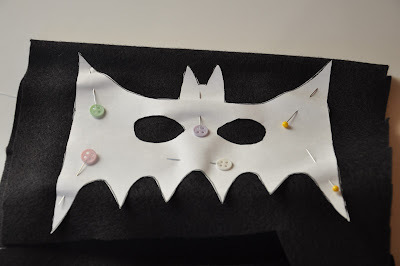 I made this kind out of foamy, they were amazing and didnt need to sew, with an elastic band on the back, in case there is someone out there that doesnt know how to sew like me….